Dog truly is man's (and woman's) best friend. Take your best pup (or kitty) with you everywhere you go. Pull out your keys and see your best buddy smiling back at you! This custom pet key chain is silver plated with a key ring and comes with either a silver plated dog paw print charm or a silver plated cat charm. The image is of your sweet furry canine or feline friend. 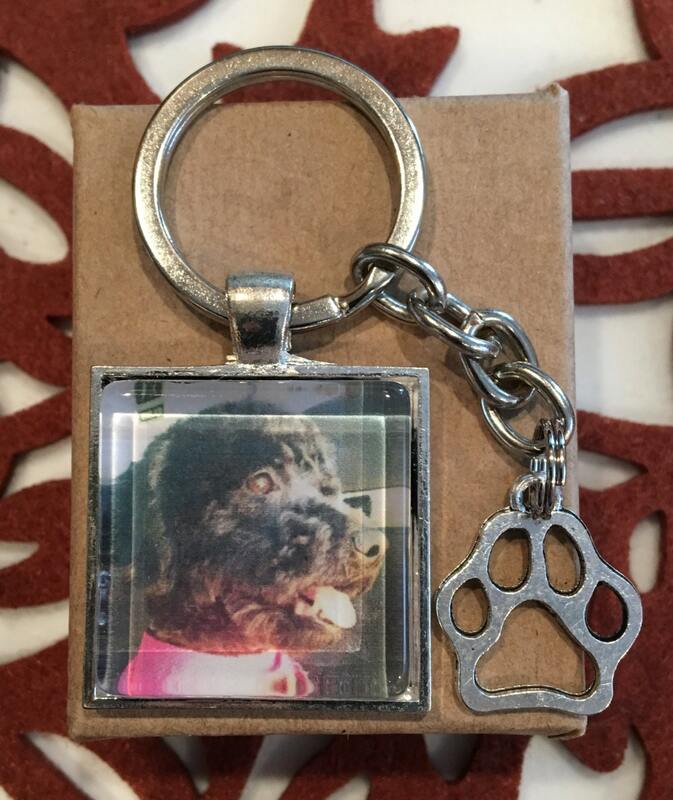 After purchase, send me a message with your favorite pet photo and I will make it into your very own custom pet key chain. High quality/resolution photos work best. If the photo sent is a quality that won't print well for the design, I will contact you for an alternate image. NOTE: All custom pet key chains are custom made and therefore, each item is truly unique. Images are samples only Your custom item may not look exactly as the one pictured.